deep Brunette or honey Blonde? L'Oreal are offering you the chance to give it your best "Because you're worth it" (come on we've all done it in the mirror....just me then?!) in their new L'Oreal Casting Crème Gloss advert - alongside Cheryl Cole. So if you do think your hair is advert worthy, get uploading! Opens to female UK and ROI residents aged 16+. 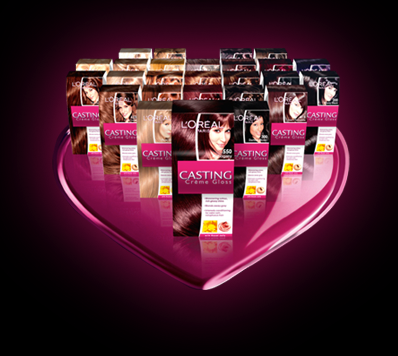 Entrants must register with L’Oréal Insider, colour their hair using Casting Crème Gloss and upload a photo on facebook. No purchase necessary. Closing date 27/11/2011. For full Terms & Conditions and to enter visit this page (http://handpickedmedia.co.uk/openx/www/delivery/ck.php?zoneid=781).